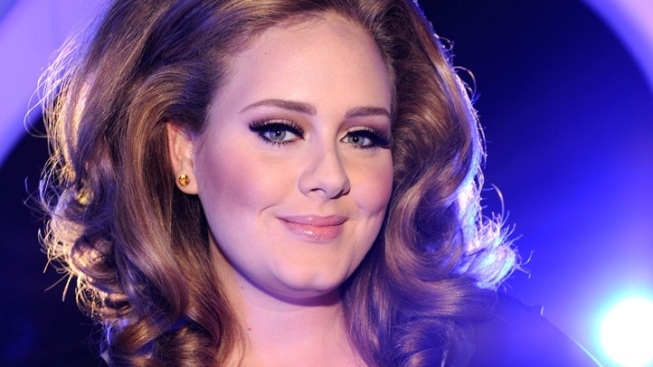 Adele's Contract: "North American Beer is Not Acceptable"
Don't serve Adele Milwaukee's finest. Some singers' contracts stipulate that the red jelly beans have to be removed. Adele's backstage rider says keep the American beer away from her. In her boilerplate contract, the British singer goes out of her way to diss stateside suds. She must have 12 bottles of beer on her bus, but it can't be just any beer. It must be the "best quality European lager beer." Beck's, Stella Artois, Peroni, the pact suggests helpfully. Then, for the band's and crew's buses, only "good quality local lager" is acceptable. "NOT Budweiser, Miller or similar 'National' brand," the rider, obtained by thesmokinggun.com, states. She also goes out of her way to insult California, insisting on two bottles of wine from Italy, France, Spain or Australia. The "Rolling in the Deep" singer does approve of American chocolate bars, including Milky Ways, and there appears to be no anti-American sentiment in her demands for milk, orange juice and mineral water. Oh, and anyone getting into the show for free has to pony up for charity, according to the rider. People receiving comped tickets must donate a minimum of $20 for charity upon pickup, and this is non-negotiable. “There will be no exception to this rule,” according to the document.